When I am looking for a horse I start by looking at conformation. While not the most critical aspect it is an important consideration. 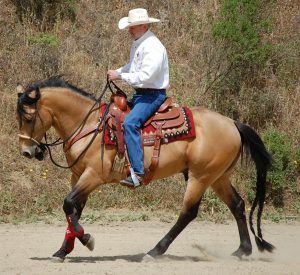 The more perfect the conformation is, the more you will probably need to pay for the horse but poor conformation may lead to problems later. There are many good all around horses that do not have perfect conformation. And while conformation is important, I also keep in mind what the horse will be used for. For example, if I was looking for a horse to jump, I would look for conformation that lends itself to going over jumps and landing well. If I was looking for a reining cow horse, I would look for a short back to get a nice lope and a good stop. 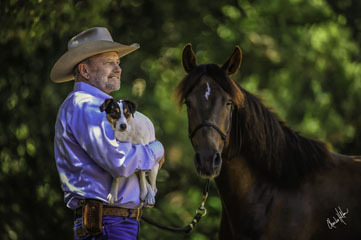 If you are looking for a nice horse to go out on the trail, maybe play around with some cows or go to some local shows, the confirmation need not be one hundred percent perfect. You should look for straight legs, a short to medium length back, a clean throatlatch, and a nice angle to the hips. You also want a horse that is able to get up under himself as seen in the first picture. Good feet are an absolute must. 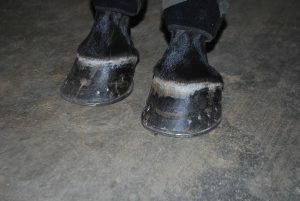 Feet that are big and wide hold the weight of the horse better. If the horse has a big body, say 1200 pounds, and tiny feet, there is too much stress on the feet and the horse will break down. Good, healthy feet are a must no matter what discipline you are going into. For me, the most critical aspect is the mind of the horse. I work on a lot of problem horses and horses that have been purchased and then can’t be ridden. I can make changes and turn a horse’s behavior around but it is much easier when that horse has a good mind and is trainable. Even a good horse can get out of control, spoiled, dull or non-responsive but a horse with a good mind can learn to behave properly. So what is a good mind? I look to see if the horse can handle pressure. I push a horse to see how it will react and how quickly it recovers. I evaluate how forgiving the horse is. In other words, does every cue have to be exact or does the horse respond when the cue is given less than perfectly. I look to see how quickly the horse can learn something new. Does the horse learn something simple in five or six tries or does it take many more? Along with a good mind, solid emotions are important. The natural flight instinct is reflected in the amount of emotion the horse shows. 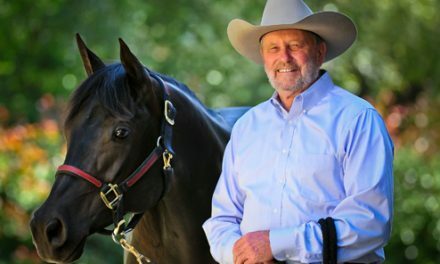 I recently did an evaluation on a horse for one of my clients. When I do this, it is my responsibility to make sure the horse will be safe for my client. The trainer who had the horse I was evaluating was probably appalled at the amount of pressure I put on the horse. The horse was very quiet, too quiet and actually his eyes reflected no life or spirit. Some misinterpret this quietness as a horse having a good mind but it is simply that the horse had no spirit and was not an emotionally healthy horse. The horse was difficult to lead as he had no energy, was dull and non responsive. I stepped back behind the withers and drove the horse forward. The horse came to life with this pressure. I needed to see this reaction for my client. When not asked to do anything, a horse like this remains quiet. When asked to do something or when the horse is out on the trail and a deer or bicycle pops up, the horse will likely over react. My job is to put more than average pressure on the horse to see how the horse will react and how quickly it will regain composure. A horse that reacts but then recovers quickly is acceptable. I intentionally put spurs to the horse to see how the horse would handle being poked. 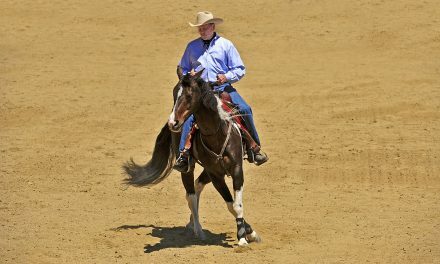 There is always the chance that a rider will unintentionally stick a horse with a spur. It is important to know how that horse will react. I used a dressage stick on the horse and he did jump and then I could see what his reaction was and how quickly he calmed down. You do not want a horse that carries a grudge or falls apart and explodes. 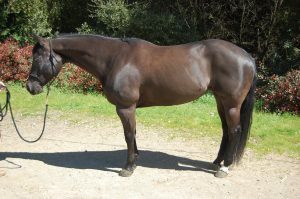 A horse like this is trainable but if I am looking for a horse for a client, I am going to find one that recovers and gains composure in moments, preferably less than one minute. I look for a horse that engages its mind. The horse I was looking at was dull but when I asked it to do something, and upped the standards by putting my leg on it and following through, it woke up. The entire demeanor of the horse changed for the better. It is my job to make sure that my client gets the right horse. In this case, the horse didn’t know how to respond properly to cues. The owner rode with a leverage bit but I used a snaffle bit. 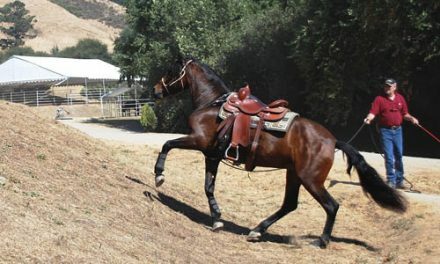 In my experience, a leverage bit is used on a horse to compensate for the lack of training. Sometimes when I do an evaluation, people take offense at the amount of pressure I apply to the horse. 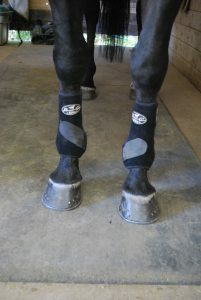 I do not hurt the horse I am evaluating but I need to see how the horse will react, as I need to take care of my client. While there were a number of negative aspects of this horse, when I finished working with the horse I told the owner that it was a nice horse with a good mind and had good potential for training. When you are looking for a horse, don’t be afraid to put a little pressure on the horse to see how it will react. Your safety is always of prime concern so be prepared to handle a reaction. If the owner doesn’t want you to do that, maybe you should continue your search elsewhere. It is your safety and your life that is at risk. Even a calm, well-trained horse reacts in some way when it is frightened or startled. It may be a hop sideways, a buck, a bolt or the horse may rear. You need to know what the “something” is and decide if you can deal with it. I have seen a lot of horses come into training as docile as can be until we put any kind of pressure on them. Then they become Dr. Jekyll and Mr. Hyde. I am always looking for the “something” that will set a horse off and then that is the area I work on.